A smart, modular design that that powers individual workspaces and collaborative areas. An innovative, economical panel and desking system designed with the small office in mind. 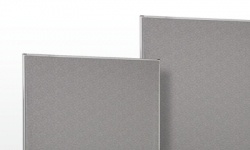 Durable, lightweight panels that are easy to install and reconfigure to create private or semi-private offices. 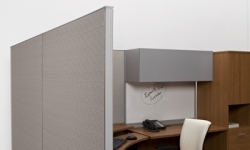 Provide privacy with sturdy stand-alone or connectable panels. Customize individual privacy needs with a modular, desk-mounted panel system compatible with most Global desking series.